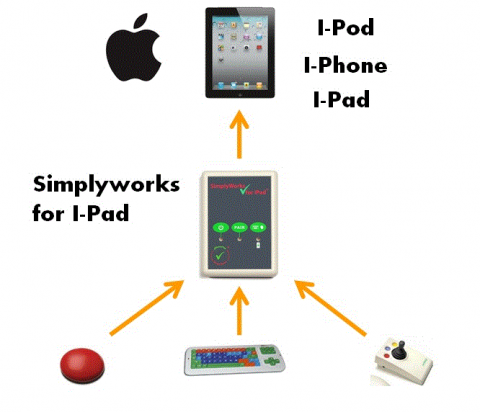 The innovative SimplyWorks for iPad provides completely wireless iPad® and iPad® mini access when used with any SimplyWorks transmitter. SimplyWorks for iPad is a unique interface providing comprehensive SimplyWork switch, joystick, and keyboard access to all iPad functions including Apps, Music and Media, iBooks, internet (Safari), email, data entry, and photography. Allows up to six SimplyWorks transmitters to be paired with a single iPad (or iPad mini) without any restriction on the mix of transmitters.